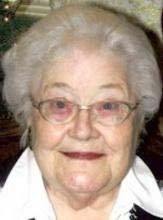 WATERLOO — Nila Marie Barna, 87, of Crystal Falls, Mich., formerly of Waterloo, Sumner, Oelwein and Denver, died Saturday, Feb. 5, at Iron County Medical Care Facility, following a brief illness. She was born June 18, 1923, in Fayette County, daughter of Leo and Martha Huebner Niedert. She married James R. Carroll on Aug. 1, 1943, in West Union. He died June 20, 1990. She later married Michael J. Barna on May 1, 1994, at United Lutheran Church, Crystal Falls. He died May 25, 2003. Mrs. Barna graduated from Sumner High School in 1940, and had also attended the American Institute of Business, Des Moines. Survived by a daugther, Patricia Ann (Carroll) Bonales; a son, Michael J. Carroll; two stepsons, Ronald J. and Charles R. Barna; five grandchildren; three stepgrandchildren; and five great-grandchildren. Services were 11 a.m. today at United Lutheran Church, with burial in Evergreen Memorial Cemetery in the spring. Nash Funeral Home, Crystal Falls, was in charge of arrangements.